Workplace Modular Systems has designed and configured hundreds of its workstations to fit specialized task requirements. Applications we’ve addressed include mass spectroscopy, ultrasonic parts cleaning, maintenance bays, electronics test equipment, consumer electronics repair, hematology and chemistry instrumentation labs, and blood bank workstations. 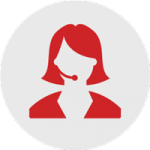 Contact a Workplace Design Specialist to discuss your unique requirement. 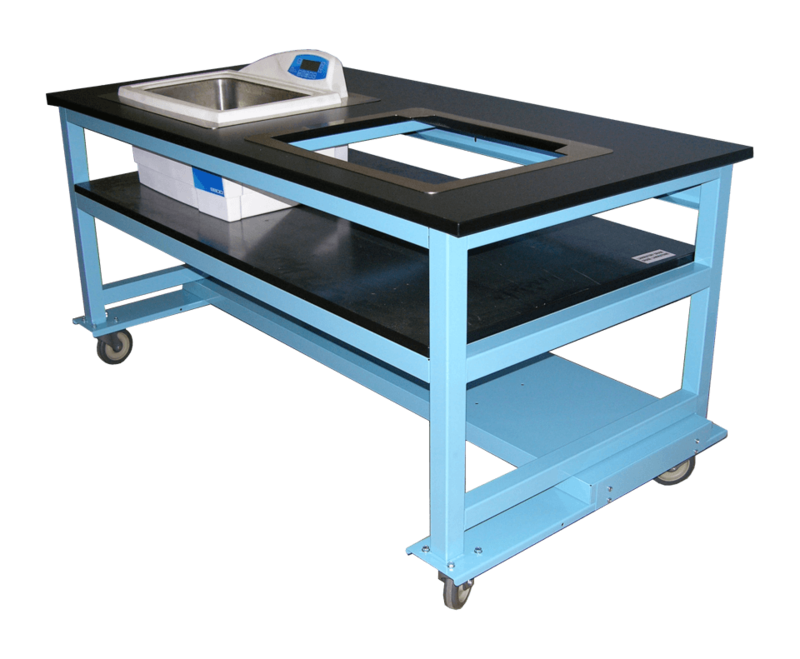 Workplace can modify both standard and heavy-duty workstations to accommodate instrumentation, test equipment, or subsystems such as an ultrasonic parts cleaner shown here. As the photo indicates, we can create multiple worksurface cutouts as well as incorporate lower shelves to hold specialized equipment. Workplace specialty solutions range across industrial, research, medical, laboratory, government, and educational applications. Our large library of configurable components addresses virtually every conceivable workstation requirement. 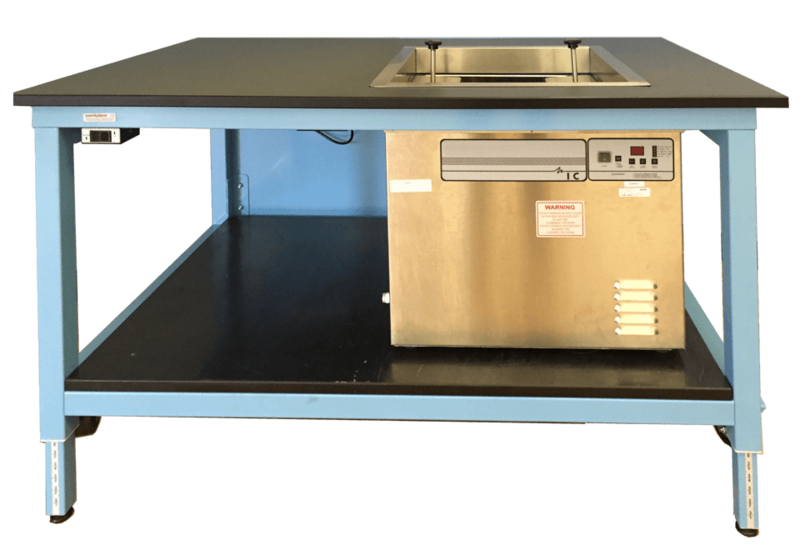 This photo illustrates how Workplace was able to integrate an ultrasonic cleaner system into a motorized height-adjustable workstation. Again, the system included an undertable shelf to hold the cleaning system. 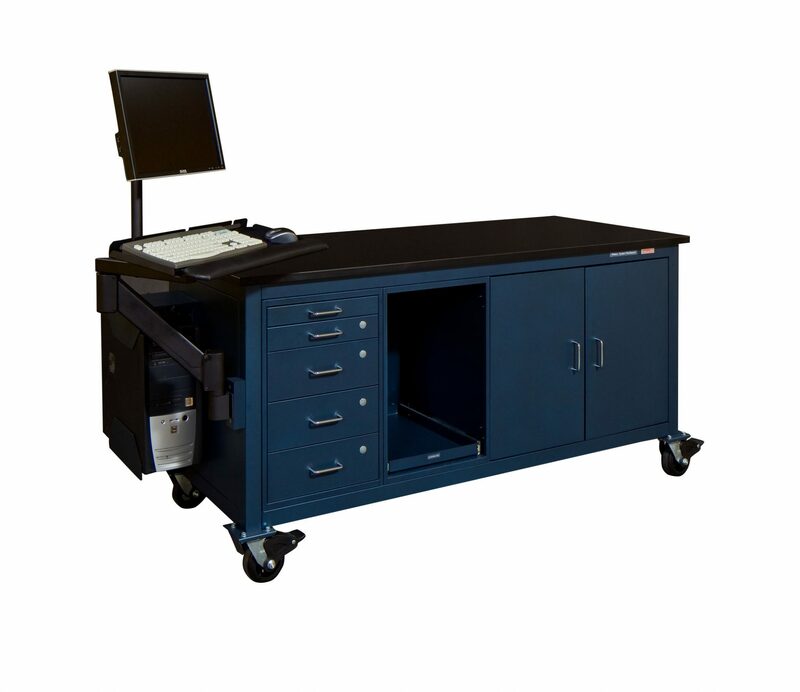 Because of its long experience and the flexibility of its platforms workplace can create satisfy virtually any application, whether for the office, classroom, lab, or manufacturing floor. 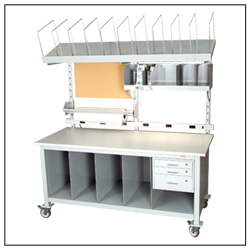 For this application Workplace created small tables based on our Standard platform. 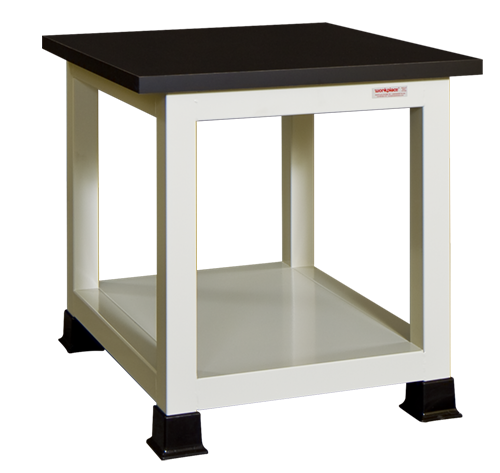 The result was an attractive table that created a uniform look for the customer’s lab which included other regular-sized workstations in the same color with the same phenolic worksurface. We welcome OEM and specialty inquiries and we’ll be happy to quote custom modifications such as those shown above. 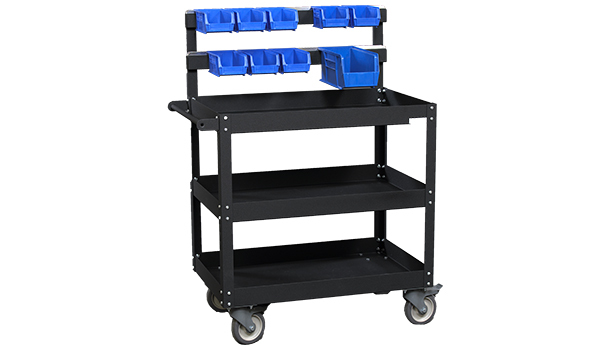 Just call your Design Specialist and discover how custom configuration of our workstations and accessories will meet your unique needs..